The ATP-1827/01 tripod is a performance-enhancing mount for quick and easy deployment of VHF/UHF mobile center-fed dipole antennas such as AD-18 and AD-27. 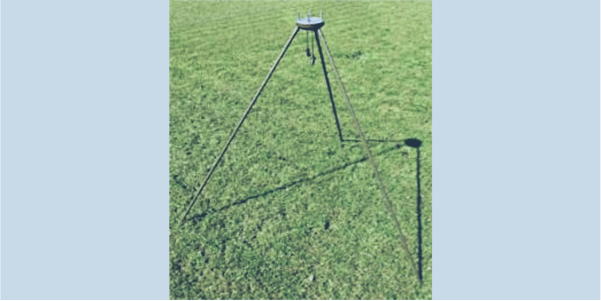 The antenna tripod ATP-1827/01 adapter allows deployment of VHF/UHF mobile antennas of type AD-18 and AD-27 in a tactical situation. The tripod legs form a mounting bracket ground plane for increased antenna performance; and are made of aluminum alloy, protected with iridite finish and painted with UV resistant PU paint. All tripod elements are packed in a handy canvas carry bag.